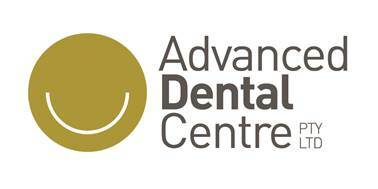 Dr. Karl Scarpin heads the team of dental professionals at Advanced Dental Centre. An experienced Dental Surgeon, he has a keen interest in complex restorative and cosmetic dentistry, and the use of implants to manage missing teeth. 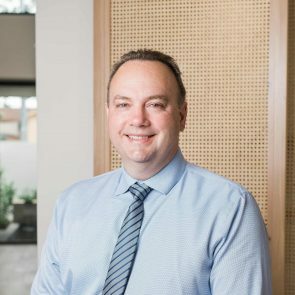 Dr. Scarpin completed his Bachelor of Dental Surgery in 1994 and is a member of the Australian Osseointegration Society, Australian Society of Implant Dentistry, the International Congress of Oral Implantologists, the Australian Society of Periodontology, Global Institute for Dental Education, and the Australian Dental Association. In 2011 he travelled to the University of California where he successfully completed the final stage of the 1 year gIDE/UCLA Master Clinician Program in Implant Dentistry. He has also completed his post-graduate diploma in Clinical Dentistry (Oral Implants) at the University of Sydney. More recently, he has successfully completed his membership to the Royal Australasian College of Dental Surgeons in the general stream. He has worked in city and country dental surgeries, gaining extensive experience in both the private and public sectors. Dr. Scarpin created Advanced Dental Centre to provide high quality dental care in a warm, relaxed and comfortable environment. He has a strong belief in continuous learning, always striving to enhance his knowledge and skills. 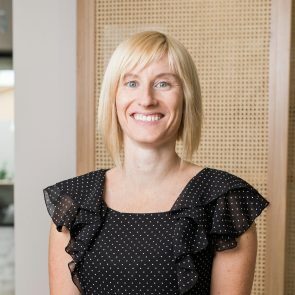 Dr. Nichola Matto completed her Bachelor of Dental Surgery in 2001, and worked in country Victoria for four years before joining Advanced Dental Centre. She is a member of the Australian Dental Association (ADA). Her primary focus within the practice is on preventive care of the teeth and gums. She especially enjoys treating children and coaching them in effective home care. In her spare time, Nichola loves to carve up the snowy slopes of the Victorian highlands. When not skiing, she finds peace of mind peddling across hilly terrain on her bicycle. Dr. Nichola Matto completed her Bachelor of Dental Surgery in 2001, and worked in country Victoria for four years before joining Advanced Dental Centre. She is a member of the Australian Dental Association (ADA). Her primary focus within the practice is on preventive care of the teeth and gums. She especially enjoys treating children and coaching them in effective home care. In her spare time, Nichola loves to carve up the snowy slopes of the Victorian highlands. When not skiing, she finds peace of mind peddling across hilly terrain on her bicycle.